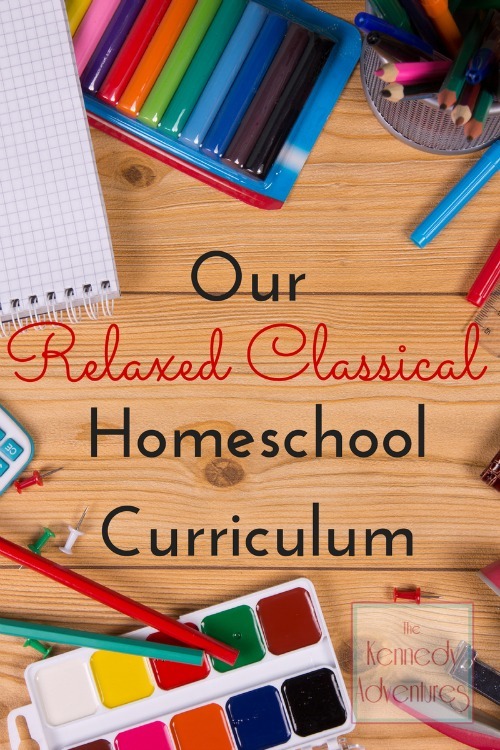 Part of the beauty of homeschooling is to have the flexibility to choose a curriculum and materials that suit your family’s needs and desires. 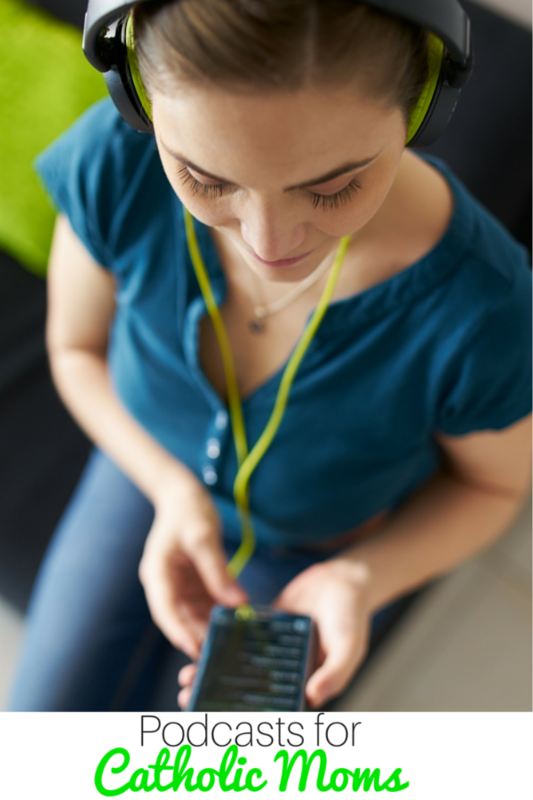 One family may place a high value on music and art, while another family chooses technology as a cornerstone in their homeschool. 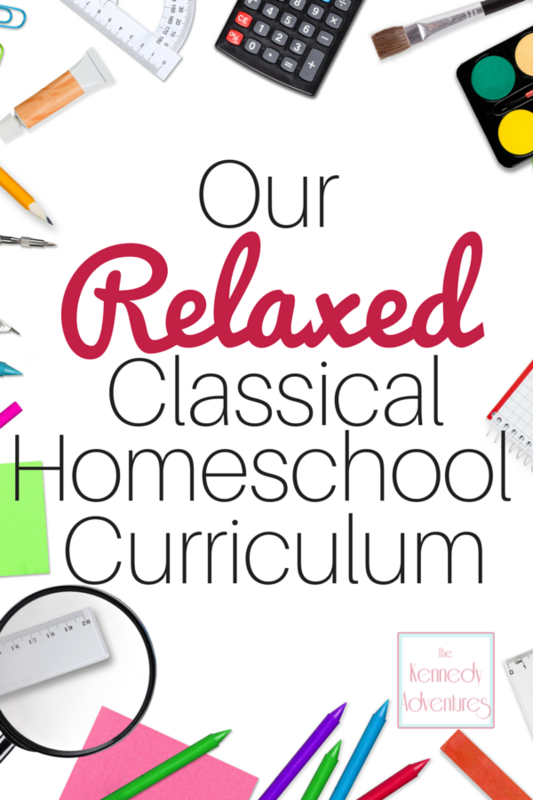 In our family, following a classical curriculum is a priority. What does that mean, especially in these early years of homeschooling? Focusing on Latin, and reading loads of amazing literature. Last year, Rachel dove headfirst into a study of Greek Mythology. As a former Greek myths geek, I couldn’t have been happier. These were some of my very favorite stories as a child. After the class ended, Rachel and her brothers continued to ask me, “When are we going to get MORE Greek Myths books?” I obliged them, with a little help from our friends at Candlewick Press, and filled our shelves with these stunning selections. I received a beautiful collection of books from Candlewick Press for free to help facilitate this article and was compensated for my time. All opinions are my very own. One of the hidden benefits of studying Greek myths is to explore virtues. With these classic stories, the lines between righteous and immoral behavior are clear cut, so that even young children can recognize examples of the 4 cardinal virtues: prudence, justice, fortitude and temperance. In Greek mythology, the lines between good and evil are very clear cut. Monsters are monsters, while heroes are heroes. When you take a look at Heracles (Hercules is his Roman name), there’s no doubt in children’s mind that he’s a good guy, performing noble deeds. Medusa, on the other hand, is definitely a monster, poised to wreck havoc on anyone who crosses her path. Ever deal with character issues in your home? Dealing with jealousy, back talking or other trouble with your children? The best way I’ve found to tackle these tough topics? Reading stories about them, especially ones found in the Greek myths. Children can recognize an element of negativity in a story much better than they can emulate it to you. It’s a great way to role play and discuss reasons behind bad behavior. An example? Rachel struggles with jealousy and fighting with her younger sister. One of our resources for helping her talk this through? The story of Arachne and Athena. Do you expect your children to study Shakespeare or other English literature as they grow older? 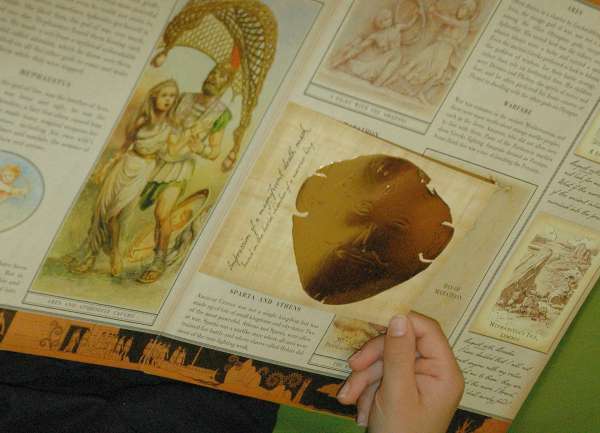 They will need at least a basic understanding of Greek mythology to assist them in studying these great works. Mary Shelley incorporated the myth of Prometheus into her book Frankenstein. (also known as The Modern Day Prometheus) C.S. Lewis’ Till We Have Faces is a retelling of the story of Cupid and Psyche. Are you a fan of Harry Potter? My kids giggle when they run upon nods to Greek mythology in these tales, like Fluffy the Three Headed Dog (could this be Cerebus, guard dog for the underworld?) and the centaurs in the forest. Even Hermione owes her name to Greek mythology. 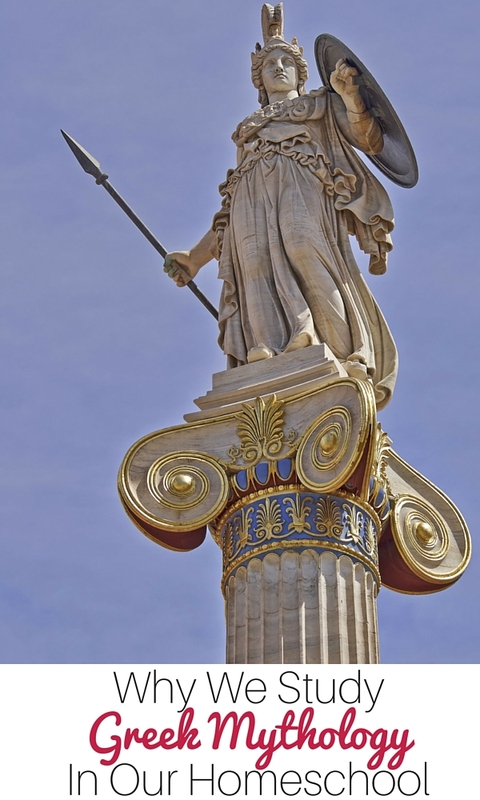 Her namesake is the daughter of King Menelaus of Sparta and Helen of Troy. If the understanding the allusions in literature and art doesn’t sell you on exploring Greek mythology in your family, think about other areas where a knowledge of these stories might come in handy. Embarking on a study of astronomy? Many constellations and celestial bodies have their basis in Greek myths, while the US space program is namd for Apollo. In chemistry, the element niobium is named after Niobe, daughter of King Tantalus. Examining the ocean? Famous researcher Jacques Cousteau named his vessel Calypso, a nymph, thought to be the daughter of the Titan Atlas. Visiting Yellowstone National Park? Iris Falls is named for Iris, the mythological Greek goddess of the rainbow. Without a knowledge of Greek myths, terms like Pandora’s box, Achilles’ heel, Herculean feat, the Midas touch, and nemesis don’t make much sense. We added all of these selections from Candlewick Press to our homeschooling collection. You can take a look and see which ones would work best for your family. 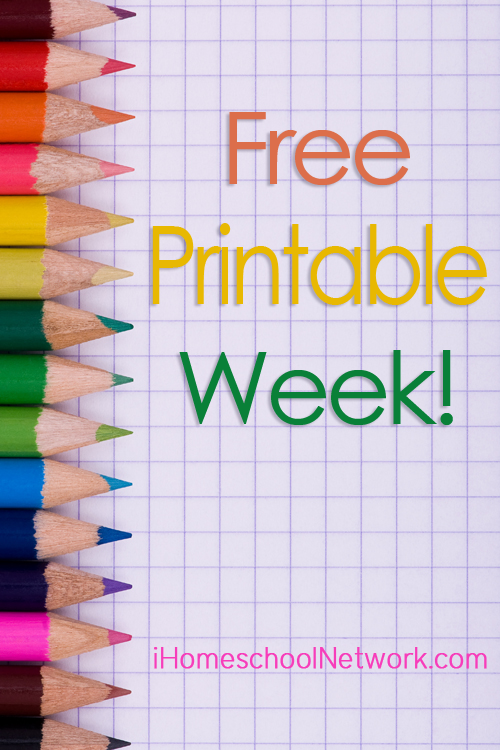 You can check out all of the gorgeous books in the Candlewick Press library, and be inspired by ideas like activity packets, lesson plans, craft ideas and more. Take a peep at all the places you can find Candlewick Press online. Want to keep your children’s hands busy while you’re reading these wonderful books aloud? 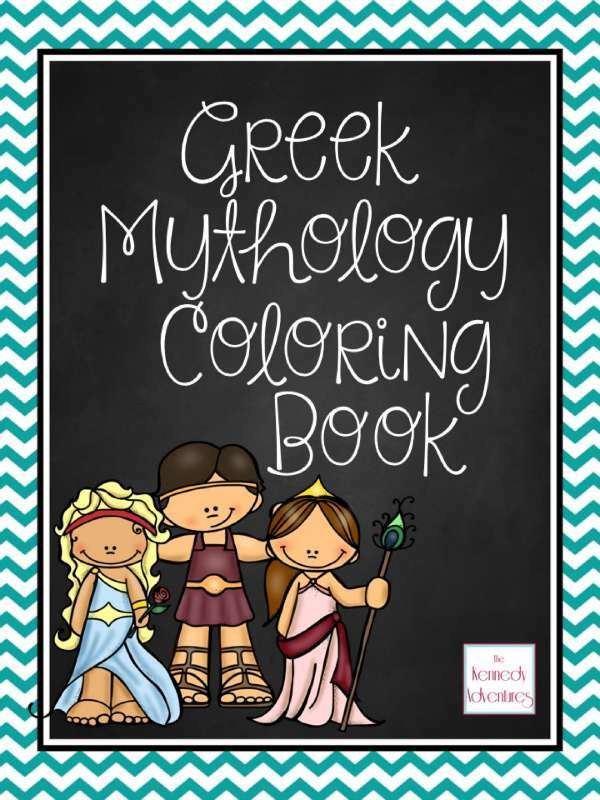 I created this Greek Mythology Coloring Book for my preschooler, but my older children (1st and 4th grade) love the coloring pages too! They enjoy pulling out a coloring page that goes along with the Greek myth that we’re reading that day. They have so much fun! 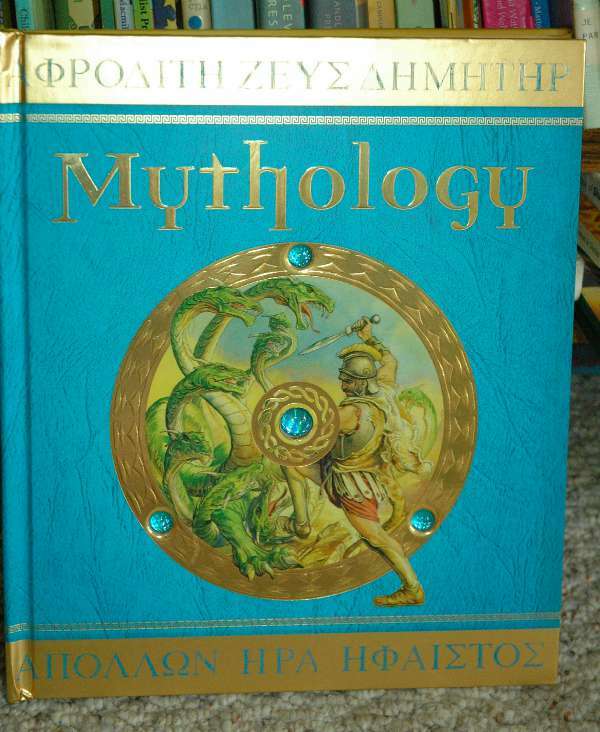 Do you study Greek mythology in your homeschool? I’d love to hear your best tips in the comment box! ALSO I was totally homeschooled as a child! Fun coincidence, yes?? Thank you for stopping by Free and Fun Friday! I’m a new homeschooling Mom. (My oldest is only four). And I’m also going to be using the Classical model of education. I know that studying the myths is important for all of the reasons you stated as well as enjoyable because most of them are downright entertaining storytelling. One thing that gives me pause to begin is the worry (hopefully needlessly) that bringing in the pagan religious beliefs of other cultures might somehow confuse or negatively influence my children. Have you ever found this to be the case, or am I being paranoid? If so, how have you worked around it? Is there a particular age to wait to begin? How does you explain gods vs God to them? Thanks for any insight you have! Absolutely understand your concerns, Heather, and it’s one we’ve discussed at length over in the Memoria Press forums. Cheryl Lowe wrote an amazing series about why Christians should study the pagan classics. She’s far more eloquent than myself. For us, my kids inherently knew the difference between God and the (little g, as we call them) Greek gods. I don’t know if it’s because we spend time with Bible stories and stories of the saints and they can easily recognize the difference, or if in their hearts, they simply KNOW. Thanks so much for sharing your experience with this book. We are in the Netherlands and there are so many Roman ruins around. 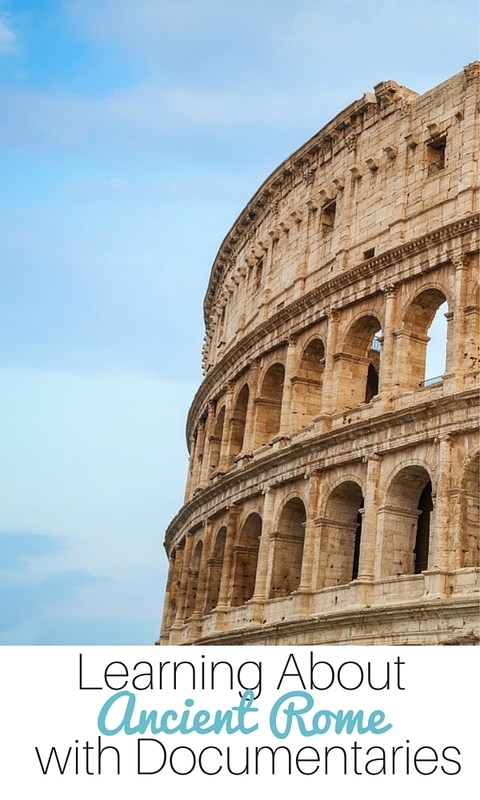 I have been looking for a way to tie in some of the Greek and Roman history for the littles and books like these are a great way to get them to start thinking about civilizations beyond our own. Such a great read. Thanks so much for sharing it with us. My 3rd grader has recently been captivated with a folktale anthology I checked out of the library for my 6 year old twins. Today I almost checked out a mythology book for him, but the choices seemed too advanced. I’m really happy to see your list with recommended ages. I always love everything Candlewick Press publishes, so I’ll have to check out the ones for younger readers. Thanks for linking up at #made4kids ! 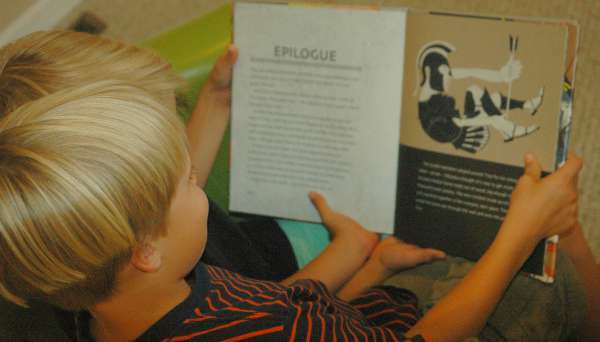 It must be exciting as someone who loves Greek mythology to see your kids taking such a great interest in it too! I remember taking a class on this in college and found it fascinating! Thanks so much for sharing at Share The Wealth Sunday! Those books are beautiful! 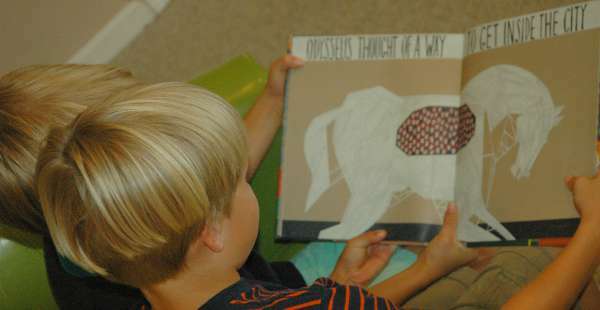 We’re studying the myths this year, and the kids love the stories. But they’ve started recognizing, on their own, how the Greek gods, and Egyptian, and Roman, are all just big humans. They have powers, yes, but they also do things wrong. It’s made for some great conversations, I’ve loved every minute. Thanks for the neat coloring pages too, the kids will love them! How exciting to have your kids show such interest in something that you are passionate about! 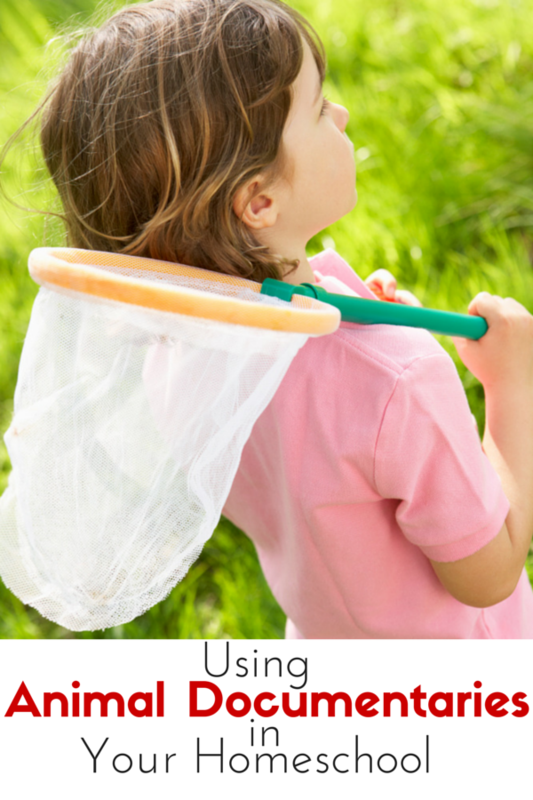 Thank you for linking up this great post at #made4kids! We look forward to seeing what you link up this Sunday. I have been homeschooling for a lot of years. I found a neat connection for kids with the Harry Potter books and with Greek and Roman mythology, for my older grandchildren. My youngest grandson is 10, much younger than the others, and I am homeschooling him, as well. 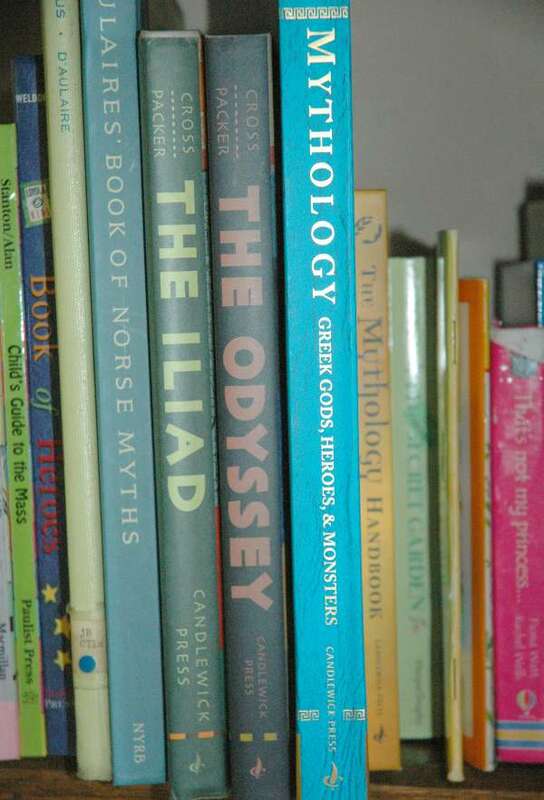 So much literature uses references to mythology that all children should learn it. It also helps to show the Latin usage in the Harry Potter series, as well. JP Rowling did homeschoolers and other teachers a huge favor when she wrote those books – they are filled with moral precepts and interesting learning experiences that you can tie into other things. 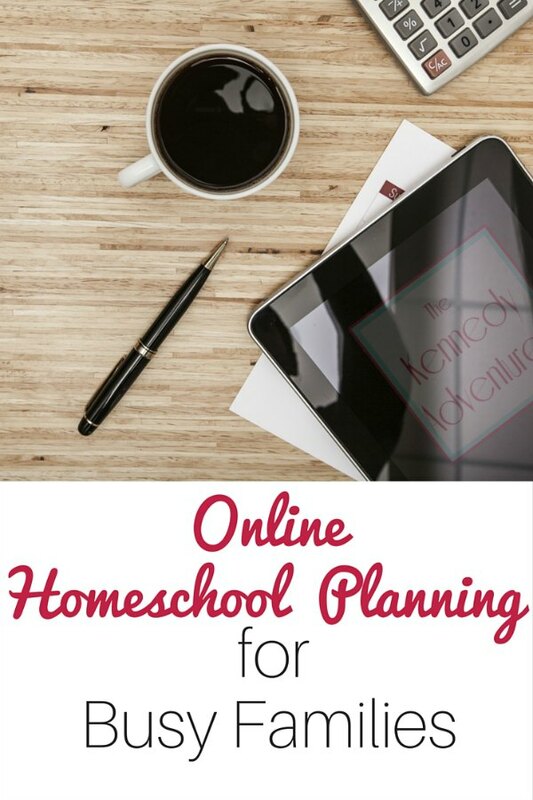 Great lessons, and I love the resources you provided! Thanks for sharing with the #GoodFriendsFriday linky. Looking forward to seeing what you share on our new post up today! 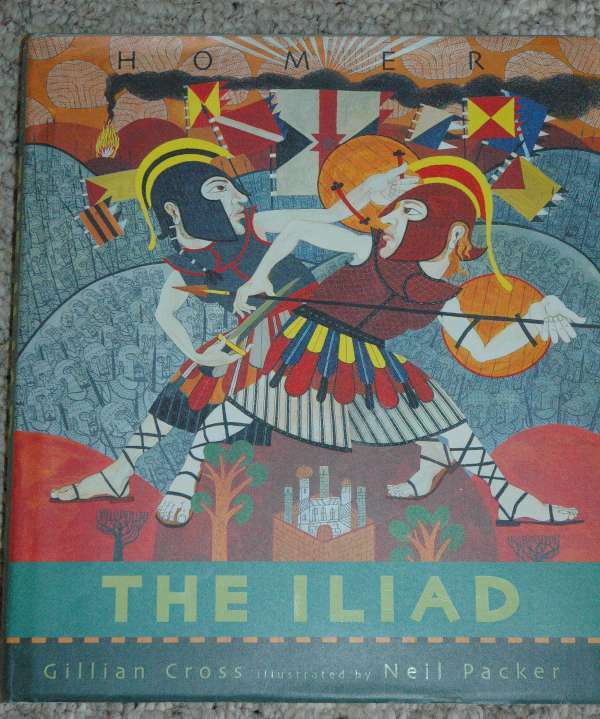 We are not Classical homeschoolers per se, but love Greek myths! My boys love the references on Harry Potter & Percy Jackson books. Can’t wait to use your coloring book with them! Also, I am going to be retelling Greek & Roman myths during my Storytimme Fun on Periscope-totally going to point everyone here for more information! Your children are very lucky to have such a thoughtful teacher. I loved the Greek myths as a child too. As I grew older I loved how the goddesses were positive female archetypes and personified different aspects of womanhood. So they taught that a girl could grow up to be a scholar like Athena, a devoted wife like Hera, an adventurer like Artemis or a person who devotedly cares for animals, plants and children like Demeter. Or as is more likely a combination of two or more of these. I think this is very empowering for a girl enabling her to grow up to be herself which is important when there are so many negative pressures on children at this present time. I am a Catholic priest of the Melkite rite. I am also married and have six kids and one on the way. We are, also, as you might expect, homeschoolers!!! There are two great demonstration videos there. May God bless you!